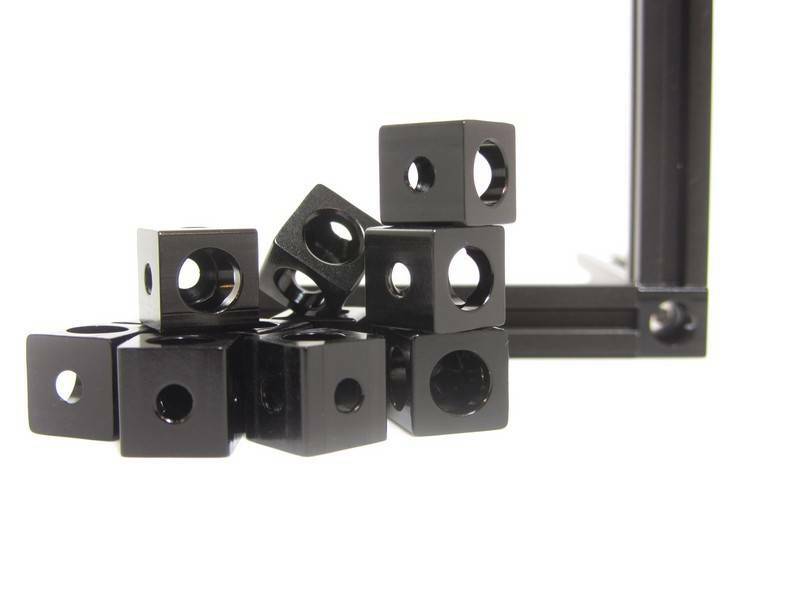 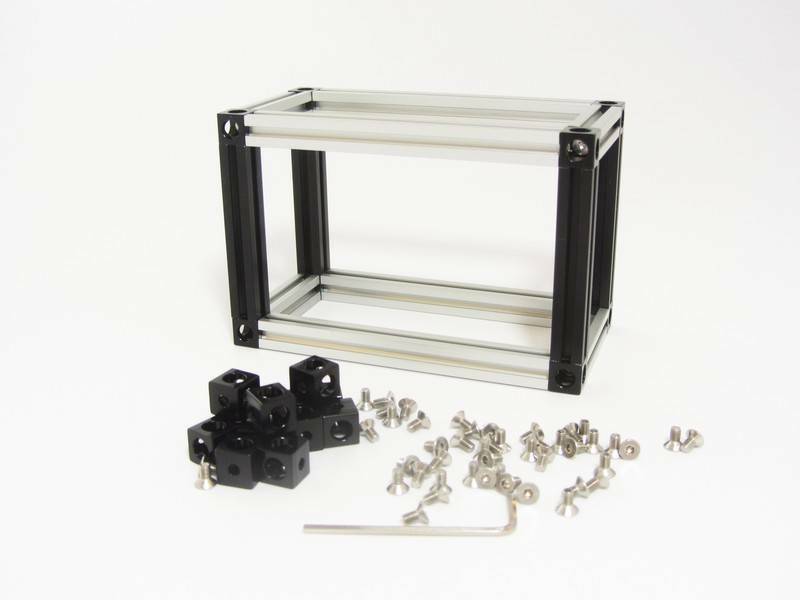 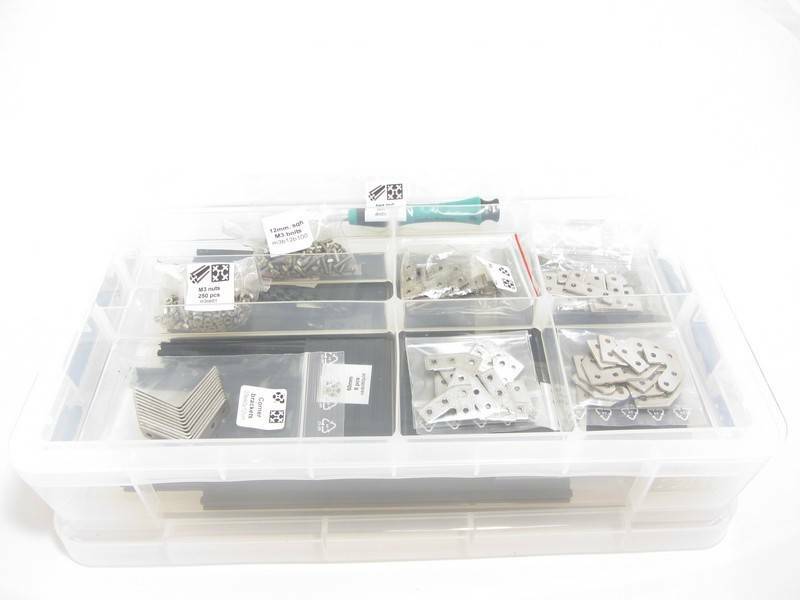 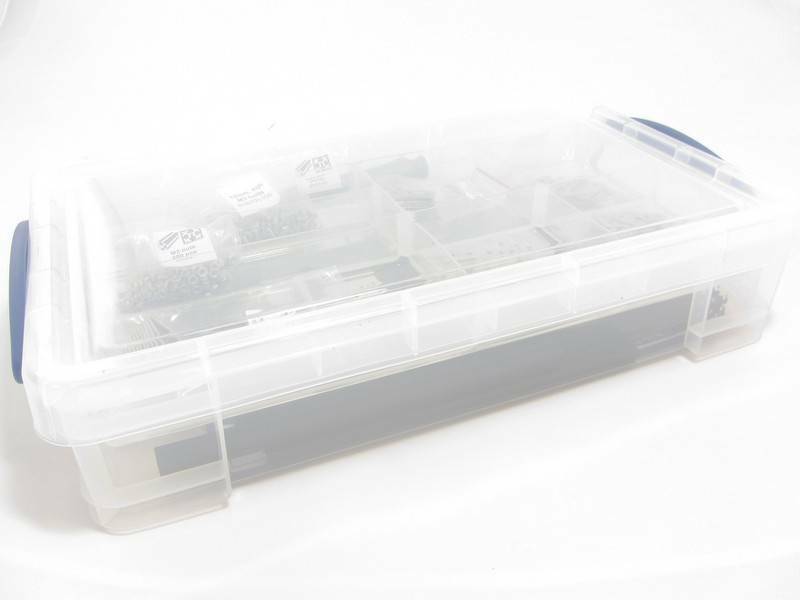 Packed in a good quality storage box with multiple compartments come: 50 makerbeams anodised in black, 60 stainless steel brackets, 1 bag of 6mm square headed MakerBeam bolts with hex hole (M3), 12 corner cubes black anodised, 1 bag of nuts (M3) and 1 hex nut driver. 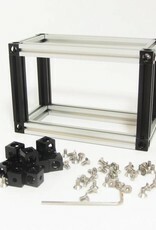 50 aluminum profiles are packed in: 4x300mm 8x200mm 6x150mm 16x100mm 8x60mm 8x40mm 60 stainless steel brackets: 12 x 90 degree 12 x 60 degree 12 x 45 degree 12 x corner brackets 12 x 90 degree right angle. 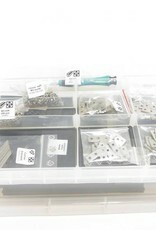 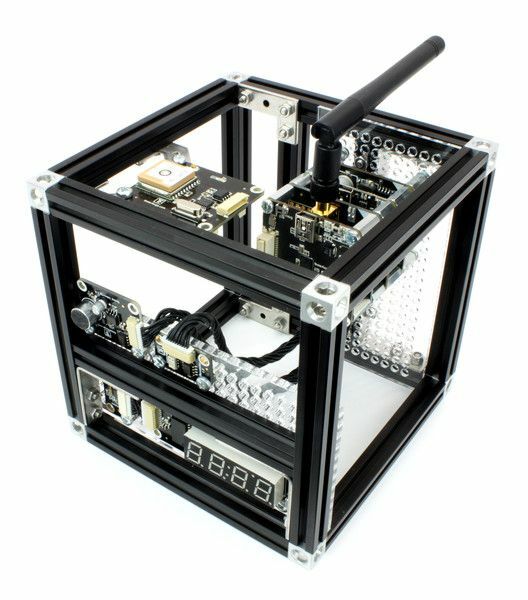 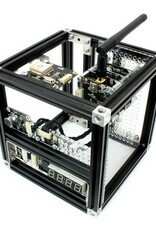 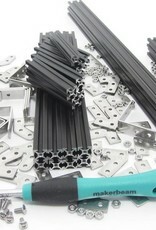 MakerBeam adopted T-slot technology to make the Mini-T profiles. 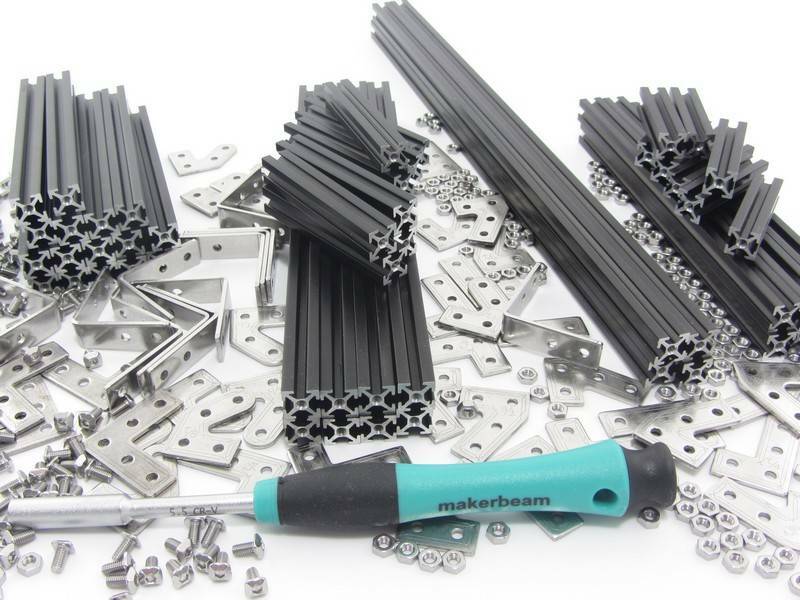 MakerBeam width and height = 10mm x 10mm. 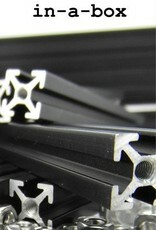 Our beams are available in different sizes. 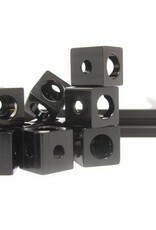 The beams are anodised in black or clear, have a hollow core and have threaded holes each end.